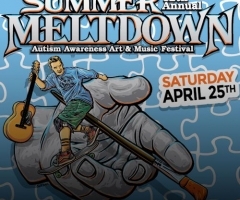 On April 30th, the 13th Annual Yes I Can Summer Meltdown will take place in Santa Clarita. It is a music and arts festival that is put on each year by the kids who attend Canyon High School that are involved in the Yes I Can program for students with and without disabilities. One of the festival’s main purposes is supporting autism awareness and throughout the years it has also shown to be a huge support of the reggae community. 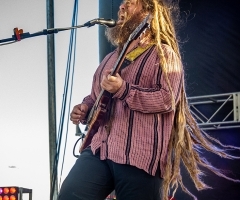 Performers in the past years have ranged from Dirty Heads, Matisyahu, Pepper, The Expendables, Nahko and Medicine For The People, and many more. 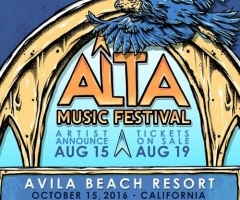 This year’s lineup includes Unified Highway, Katchafire, Zion I, and Through The Roots, just to name a few. There are constantly live artists painting on stage and many different vendors from food to art to clothing and more. 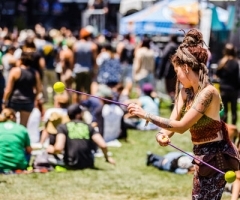 I was fortunate enough to get the opportunity to talk with Bret Lieberman, the founder of the festival, about what it is like to put on such an event. Thank you so much for taking the time to chat with Top Shelf Reggae. We are huge supporters of Summer Meltdown and what it stands for. The festival must have evolved a lot over the last 13 years. Tell me about the Yes I Can program and how it all got started. I started teaching 13 years ago and my first teaching assignment was a class of students on the autism spectrum at Valencia High School. I was fresh out of college and I produced concerts in Santa Clarita to help cover the costs of gas, to get back and forth from school. The students in my class were getting bullied; they were socially isolated from the rest of their peers and did not have a clique or anyone who would include them. One of my students asked if we could throw a concert at the school with the hopes that maybe they would be the “Cool kids” and make friends this way. I explained that producing a live event is stressful and it is not as easy as it seems. One of the other students shared that they were all in for the challenge. It started off as almost a battle of the bands, we had 10 local bands perform, the kids sold pizza, we had a few hundred students attend, and the kid’s smiles shined bright. After the first event the students wanted to book Sublime, I told them that you can’t always get the top dog, but let’s go after someone who inspired Sublime, and we booked Fishbone. Fishbone taught the students that they deserve to have the same experience as anyone who attends their show, they made sure the kids could mosh, crowd surf and signed autographs for every student. Over the years the students have compiled a list of bands that they wish would perform on their stage, and some of those dreams have come true, and we still have lots of dreams to follow. What are some challenges you often face while putting together the festival and what have been your major successes? There are lots of challenges with producing a large festival like the Summer Meltdown. We are a DIY non-profit organization, nobody in our Yes I Can program gets paid, and we are made up of teachers, parents, former students, and we have been blessed with some amazing music executives’ mentors, and volunteers. The first year the concert cost about 5,000 with venue rental, security, food, stage, sound and lights. We are now producing a festival that costs about 80,000 with our production this year and it is hard to make happen without sponsorship funds. We are always looking for sponsors, it is hard because we are a dry festival, we do not sell alcohol and this is a huge revenue stream that most festivals can rely on. We are the only festival that is co-produced by students with and without disabilities. Most of the students with disabilities have a form of autism knows as Asperger Syndrome, they work hand in hand with their general education peer mentors alongside professionals in the live concert industry. Why has reggae music become the main genre each year? It is funny that we have become known as a reggae festival because when we started we had lots of hard rock, ska and punk including groups like Unwritten Law, Trapt, Smile Empty Soul, Fishbone etc. We have always tried to keep it diverse with the music; every student has someone that they wish would come perform. We need The Red Hot Chili Peppers, Green Day, 311, Incubus, No Doubt, Taylor Swift to bless our stage to make some dreams come to life. Matisyahu was on my personal list, we always look for artists that represent peace, respect and push our message of unity through music and education. We have been blessed with some amazing reggae artists who have supported our movement since the start including Dirty Heads, Iration, Pepper, The Expendables, Tomorrows Bad Seeds, Cisco Adler and Shwayze. The students booked Dirty Heads and Far East Movement before each of these bands had a hit on the radio. We look for artists that we feel are going to make some noise and make a difference with their music. I do want to give some major kudos to both Iration and the Dirty Heads for performing at the Summer Meltdown on multiple years and fitting us into their busy touring schedules. What does having live art on stage add to the festival? We always had art included in the Summer Meltdown. We exposed our students to different mediums of art including graffiti art, we had an amazing painter named Timoi who would come out each year and create an art piece with the collaboration of our students and guests of the meltdown. Over the years it continued to grow, we were contacted by some of the artists who painted at the California Roots Festival. I attended this festival in 2013 and was blown away by how cool it was to have live paintings created to the music being performed on stage. I brought the idea back to our team, and the students created an art committee who reached out to those artists they wanted at their festival. California Roots Festival is like my Coachella, this is the only festival that I have attended that has the same vibe as the Summer Meltdown. Everyone gets along, there are no fights, there is appreciation of the music, art and inspiring the youth through a positive experience. Who are some of the favorite artists from the past years and who are new artists you are interested in getting in the future years to come? I have lots of respect for anyone who has performed on our stage with a guitar, microphone, or a paint brush; there are lots of heroes and artists that deserve shouts of respect. I judge an artist on how they treat my students, do they talk down to them like a rock star, do they respect them as the producers of the event, or do they get the fact that they are blessed to live a life where they can make change through their music. One of my favorite artists is Cisco Adler because of his attitude and love of music. I traveled to SXSW on my own dime to ask him and Shawayze to perform at the Summer Meltdown in 2007. They were performing at a showcase; I snuck back stage to speak to them. The security guard asked what I was doing, I shared that I was a music executive from the label and I had to work on a music deal with them, the huge 300 pound guard moved aside. After I found their dressing room the guys were toasting to a solid show. I introduced myself, explained that I was a special education teacher who came out to Austin Texas to ask them to perform at the Summer Meltdown. After a quick chat about the event, Cisco handed me a beer and said done deal. I got back from Texas, called the management and the guys were booked. We are all excited for the premier of Unified Highway featuring Eric Rachmany of Rebelution/Amp Live and Wakrat. Wakrat is the new project from Tim Commer bass player of Rage Against the Machine. This year’s lineup is the most diverse it has ever been, there is something for everyone. Some of the bands that the kids still want on their stage are Rebelution, The Green, SOJA, Slightly Stoopid, Dialated Peoples, Atmoshphere, Stephen Marley, Ozomatli, Jurassic 5, Incubus and 311. What is the reasoning for the new location? Does it have anything to do with the festival being changed from two days to one? We heard lots of complaints from our guests that we did not have enough parking at the skate park location. We still plan on doing more events over there, but there was some concern from the city that we might have outgrown that location for the Summer Meltdown. We had many meetings with the city of Santa Clarita to explain that we were going to make the meltdown a two day event. We had everyone on board, and someone within the city gave away the reservation for the skate park. We were told that they had Central Park for us to rent, but we were told late in the game that they would not grant the two day festival. Lots of stereotyping and hating that goes into an event that is out of the box and never been done before. The city did grant a two day beer festival at Central Park the following week, so you can be the judge if we are being treated fairly. The students worked extremely hard on every detail of the festival, this is a real world problem solving. One of the major goals is to have the students learn transitional skills and improve their communication through this experience. Some of my students have gone onto to work in the music business in all aspects from: running lights, sound, artists’ management, public relations, concert photography, website design, security, and catering. I have been attending the Summer Meltdown since 2013 and even in those short 3 years, I have seen it grow so much. 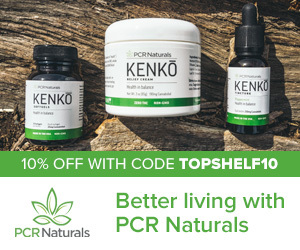 What are your goals for this festival in the years to come? It is a beautiful thing to watch growth when it comes naturally. In 2014 we had our biggest growth; we had close to 5,000 people support the Summer Meltdown and our message of Autism Awareness. This year we had added a huge step with the addition of ATK who is in charge of our production. ATK is mostly known for producing the Super Bowl half time shows for the last 19 years, along with helping out at Coachella and other large corporate events. I would love to see the festival get some major sponsors who can help us take the Summer Meltdown to a few different cities as a traveling festival. There are such life lessons that can be learned from working on the Summer Meltdown or even attending. I have been told that the meltdown has the power to open people’s minds, remind them not to judge, or to even be aware of how their words/actions can hurt people. Music is the universal language that all humans understand, we are all connected through the love of music. I have watched this festival help my students go into their regular classes and be accepted. You are the cool kid when you are in charge of bringing professional touring bands to perform for your community. Thank you for your time! We are looking forward to this year’s festivities. The Summer Meltdown is one of my personal favorite events to go to every year. Anything else you would like to say to fans or people who have never attended a Summer Meltdown festival? If you are looking to attend a music festival this year, please make sure that the Summer Meltdown is on your list. You do not have to deal with people fighting, being too drunk or disrespectful. This is an event were people can bring their families, friends and for all music lovers. There are 30 live musical acts, 25 live painters, 15 food trucks, vendor village, and non-profit organizations. We are still accepting sponsorship, and vendor applications. All information and tickets can be purchased on our website www.summermeltdownscv.com.